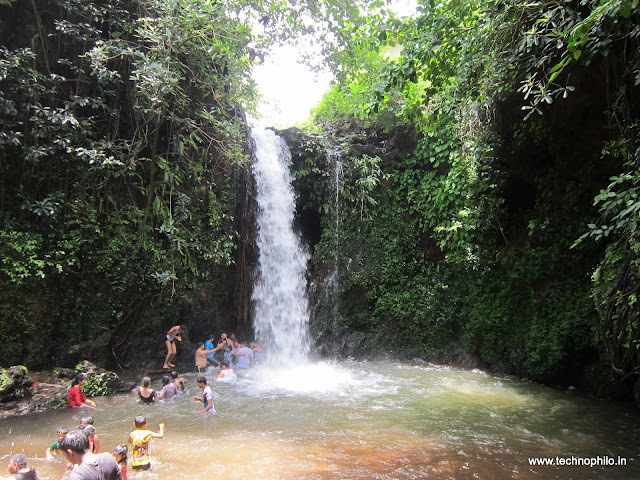 Many are not aware of this magnificent and enjoyable water fall situated very near to Honnavar. One has to take left way near toll gate present before entering Honnavar from Bhatkal side. I visited this place once in summer but didn’t like it much as it was dry without water. This time I made sure to visit this place in monsoon as this region receives good rain fall and there will be full of water in all water falls of this surrounding. There is a wrong sign board displayed on way to Apsarakonda with distance as 1 kilometer but it is more than that nearly three kilometers. Water falls from a height of 8 to 10 meters and makes it perfect place to enjoy and play in water. Just behind water fall there is cave like entrance, don’t know where that will head to. Only at the place of water fall t is more deep may be 6 to 7 meters. Other than that it is normal may be 5 meters so no problem to walk in water. But be careful as there are small stones inside pricking while walking in water. Even running water pull is less so even children can enjoy nicely. 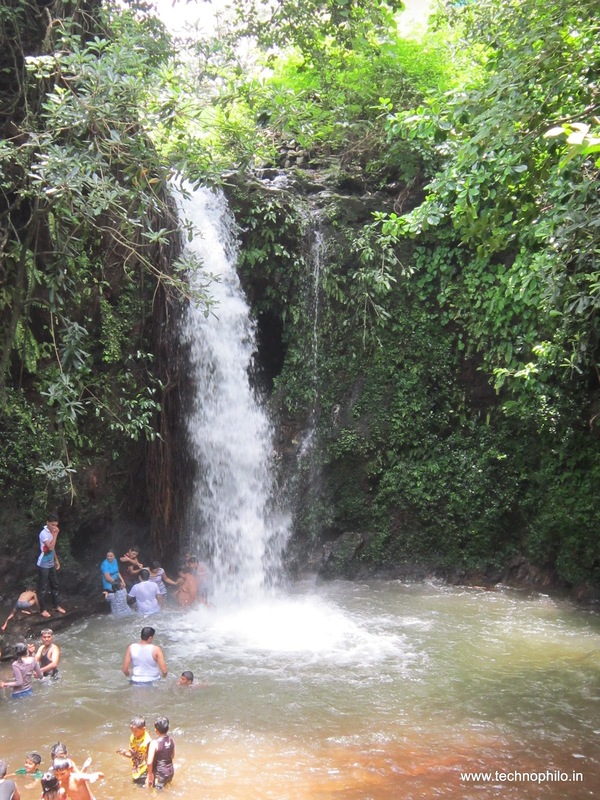 This water fall present behind Umamba Mahaganapathi and Ugra Narasimha temple, a branch of Sri Ramchandrapura Matt. 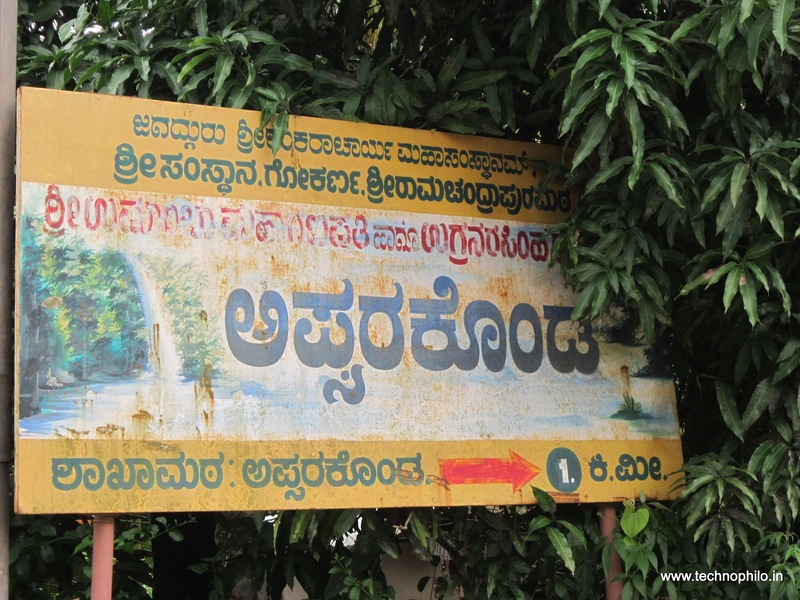 Forest department takes care of this water falls and recently a park is also being constructed with boating to attract visitors.